My mom was on the phone with one of my brothers. She relayed my message to him. As I spoke the spontaneous idea out loud, I felt my own excitement for the snow growing. This would be our first winter storm of the season. And the first snow is the most exciting. When winter weather arrives in the south, everyone mostly stays at home. That also means everyone can feel stuck at home. We just aren’t as prepared for snow storms. I’m not always prepared for these forced days of rest, these days where the snow adds a new level of limits. The snow changes the way we look at the day. There are fewer options. The normal routine can temporarily be different. Before this weekend, I never realized why snow days can be hard for me. But I had a lightbulb moment in between the conversation with my brother and the arrival of the storm. 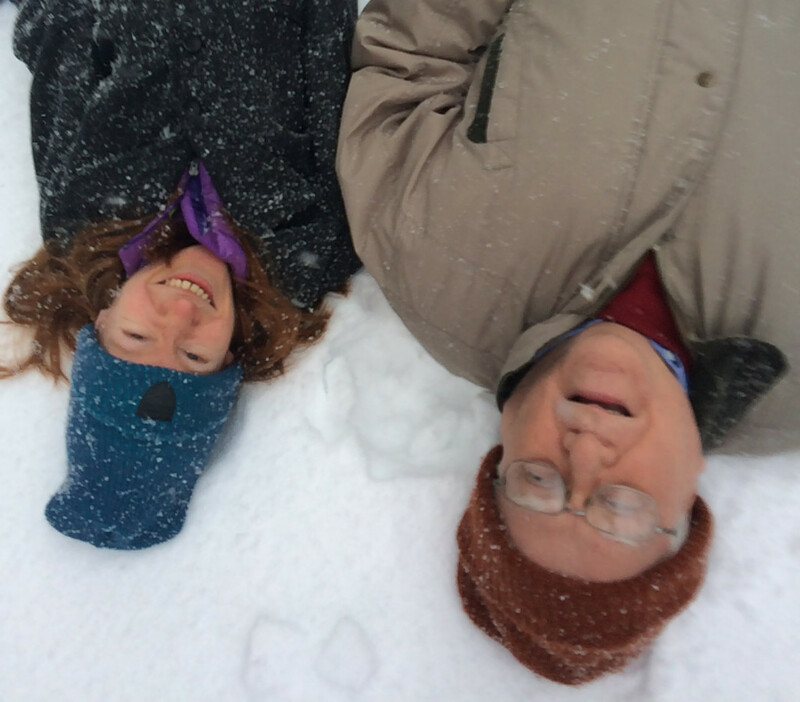 Snow days seem to amplify that I rely on my parents and can’t just go anywhere alone. And I miss that connection with people outside my home. Somehow I entered this weekend full of joy. I would make the most of my time indoors. I was ready for these snow days because I finally understood the unnamed tension I felt. It goes back to perspective. Was I going to focus on what I was missing (the lack of options) or what I already had (the option to be creative with the limits)? Before the storm began, I knew I would embrace the snow days and create an adventure with my parents. We would do something fun together. And we did. I’m thankful for their constant presence on the snow days and the ordinary days. I tell them my ideas and they are often more than willing to do what they can to make my ideas possible and join me along the way…from one everyday adventure to the next. P.S. We made a video of our snow adventure. Go watch it, and laugh with us.